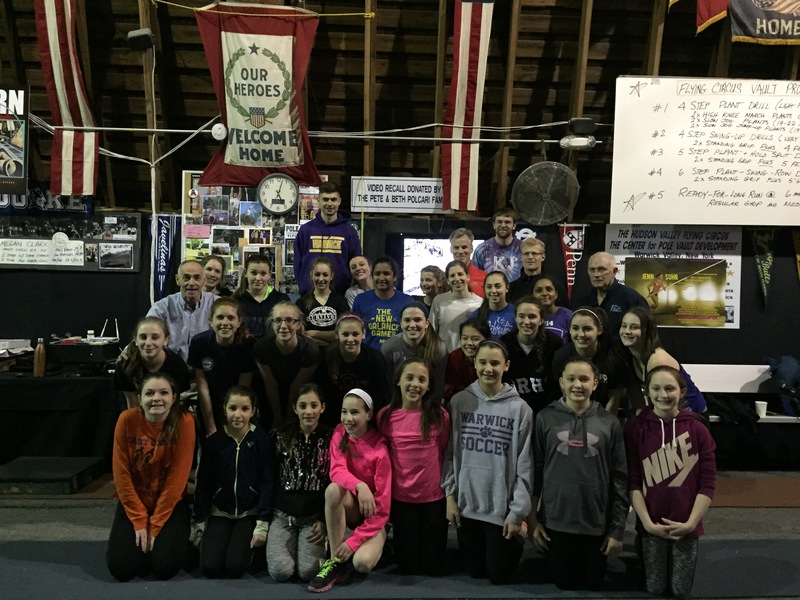 Hudson Valley Flying Circus | LEARN-TO-POLE-VAULT-DAY”… coming again MARCH 19 @ CIRCUS !!!! LEARN-TO-POLE-VAULT-DAY”… coming again MARCH 19 @ CIRCUS !!!! CALLING ALL ATHLETIC CHILDREN !!!!! It’s time to LEARN HOW TO POLE VAULT !!!! The FLYING CIRCUS Pole Vault Project is reaching out to the younger generation… Young athletic boys and girls in graders 6-7-8-9-10 who want to LEARN HOW TO FLY!!! A beginner clinic in POLE VAULT FLYING will be offered to all on Saturday March 19, 2016 at The Warwick Center for Pole Vault Development…Warwick, New York. These two clinics will feature a safe and progressive drills for beginners in pole vault…running mechanics and beginning positions of pole vaulting. The clinic is three hours in length and just $50 per athlete. MS and HS Coaches come FREE… and will receive their Flying Circus Safety Certification for Pole Vault Instruction. Here is the chance to develop your Pole Vault athletes at your Middle School and High School programs. Join the fun and friendship of FLYING CIRCUS POLE VAULT. This is a walk in clinic… Register AT THE DOOR on March 19. Cost $50 per athlete. Boys and Girls Grades 6-7-8-9-10 ONLY. Dressed for activity. FLYING CIRCUS …. A UNIQUE EXPERIENCE for your CHILD .